Police on the state, county, town and village levels have issued a vehicle thievery warning. During the past couple of weeks an increase in stolen cars has been reported throughout the county in addition to personal items being taken that were left … Please login below or purchase a subscription to the Putnam County Courier to access this content. 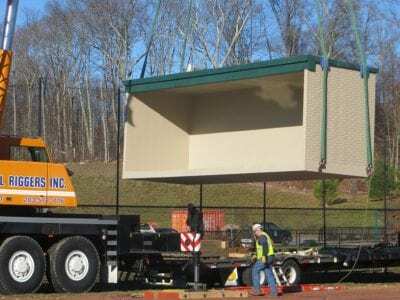 A huge crane lifts concrete dugouts into place last week at Camarda Park in Carmel. The big, green space of the “Central Park of Carmel,” also known as Camarda Park, is undergoing major renovation thanks to unseasonably mild weather. Last… Please login below or purchase a subscription to the Putnam County Courier to access this content. County Lawmakers to Tackle Climate Change! Putnam County lawmakers are concerned about the environment and last week at a meeting of the Legislature’s Health Committee, discussed taking the Climate Smart Communities Pledge. To become a recognized Climate Smart Community, a municipality… Please login below or purchase a subscription to the Putnam County Courier to access this content. 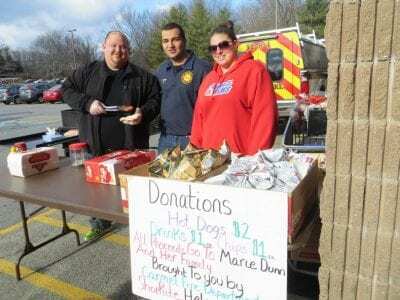 Members of the Carmel FD sell hot dogs Saturday outside ShopRite in Carmel. The trio pictured include: Jen Rota, Steve Rivera and James Adelman. 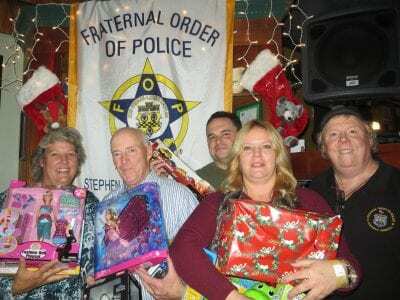 A Stormville woman critically injured hours before Thanksgiving when she was run over by a Jeep in the pa… Please login below or purchase a subscription to the Putnam County Courier to access this content. 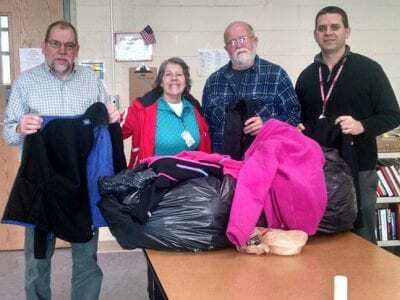 Jerry Grant, CAP’s Food Pantry Manager and CAP volunteer John Martin accept the coats from Daria Pascale and Randy Hora of the Brewster Teacher’s Association. Area residents in need of a gently used warm coat or jacket this winter will no… Please login below or purchase a subscription to the Putnam County Courier to access this content. 19th century: Santa commands a flying sleigh (Washington Irving’s Knickerbocker’s History of New York,) slides down chimneys (Clement Clarke Moore’s The Night Before Christmas,) and monitors kids from the North Pole (Thomas Nast&rs… Please login below or purchase a subscription to the Putnam County Courier to access this content. The Kent Public Library will host local author Joe Bagnato on Saturday, January 9, from 11 a.m.-1 p.m. to to talk about and sign his book, “Family Inspires Great Hope Together: How We Fight.” The book is described as a “powerful and inspirational s… Please login below or purchase a subscription to the Putnam County Courier to access this content.